This week, most of the japanese peoples take public holidays. and the week is called “Golden Week”. I wanted to take their picture. 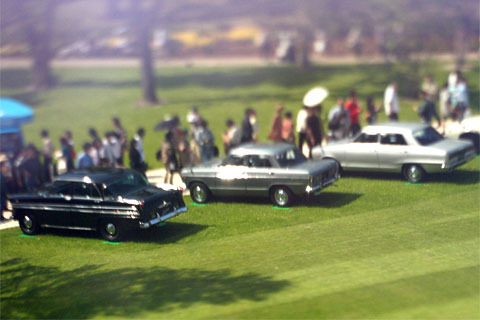 I tryed to follow Naoki Honjo-san’s “miniature fictional world”. I used LOMO SMENA 8M lens and holded it in front of my camera by my finger. This is Hinoki-machi park at back side of Tokyo Midtown buldings.